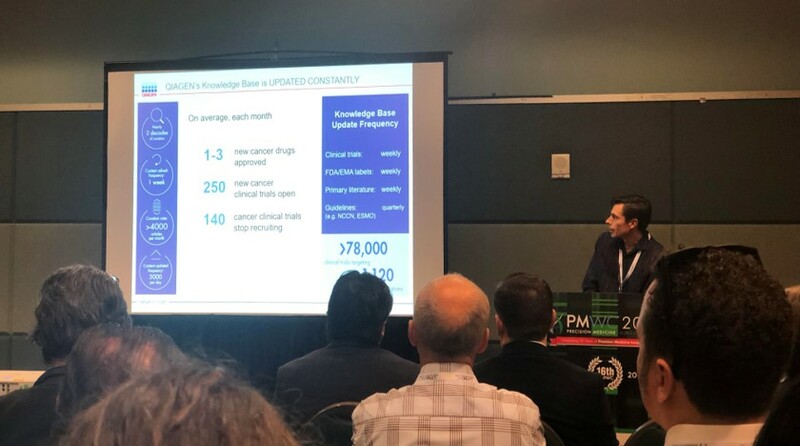 What was all the real-world evidence buzz at PMWC 2019? Dan Richards, PhD, talks about the scientific and clinical content that supports QIAGEN Clinical Insight. Attendees talking with our experts at our booth. 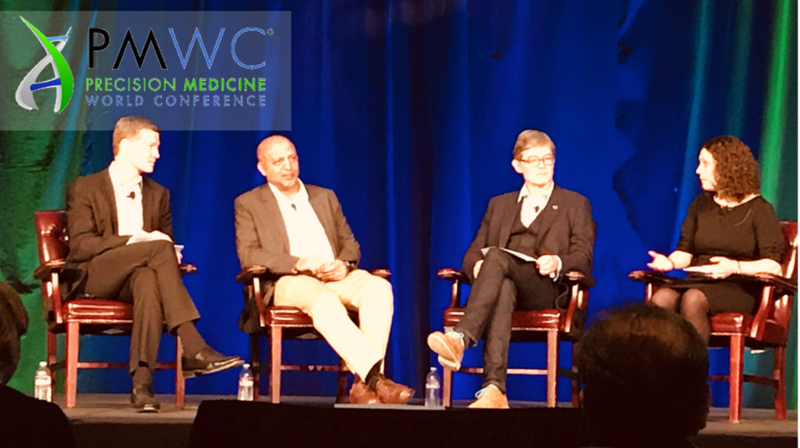 With great networking opportunities, exciting panel discussions, and a packed exhibit hall, Precision Medicine World Conference 2019 was the place to be in Silicon Valley last week! We were excited to be there alongside N-of-One, our latest acquisition offering clinical interpretation services with real-world evidence. 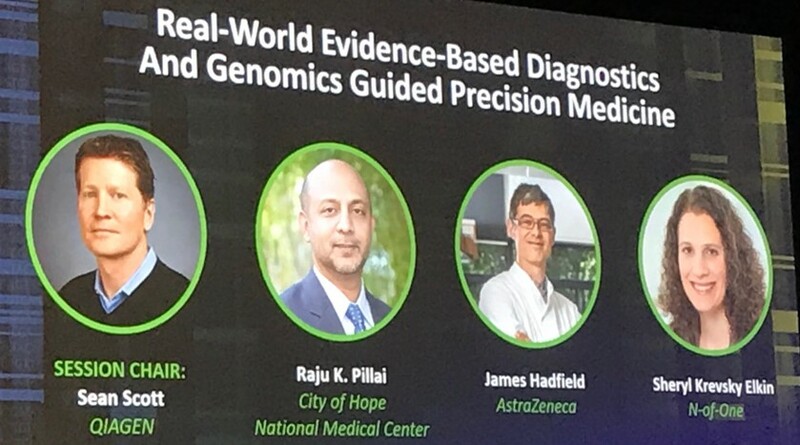 Day One kicked-off with numerous informational sessions, including talks on the role of AI in clinical decision-making, the importance of standardization for reimbursement, and the tremendous potential of genomic profiling in disease prevention, diagnosis, and treatment. Dan Richards, Vice President of Biomedical Informatics at QIAGEN, spoke about the clinician’s current challenge of curating all the evidence he or she needs to confidently sign-off on variant reports before they go to the prescribing physician. 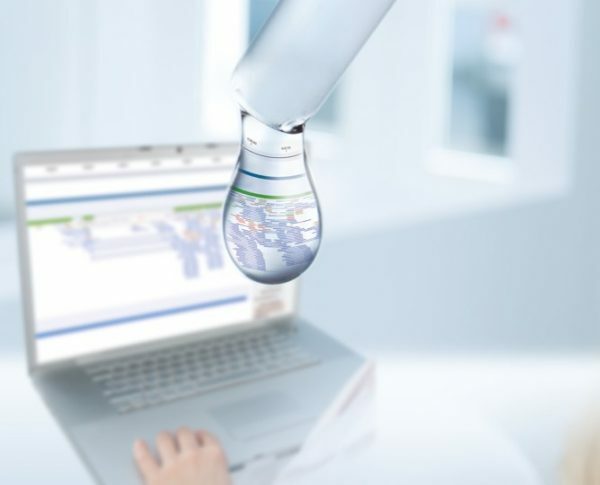 QIAGEN Clinical Insight (QCI) and N-of-One were featured as solutions providing options for either in-house curation with tailored workflows or on-demand curation services. On Tuesday morning, the conversation continued with a panel hosted by Sean Scott, Chief Business Officer of Clinical Genomics and Bioinformatics at QIAGEN, that discussed the emergence and application of real-world evidence in the clinical setting, especially in precision diagnostics and clinical trial protocol design. The panel consisted of Raju K Pillai, MD, Hematopathologist and Molecular Pathologist at City of Hope National Medical Center, James Hadfield, Director and Principal Diagnostic Scientist at AstraZeneca, and Sheryl Krevsky Elkin, Chief Scientific Officer of N-of-One. 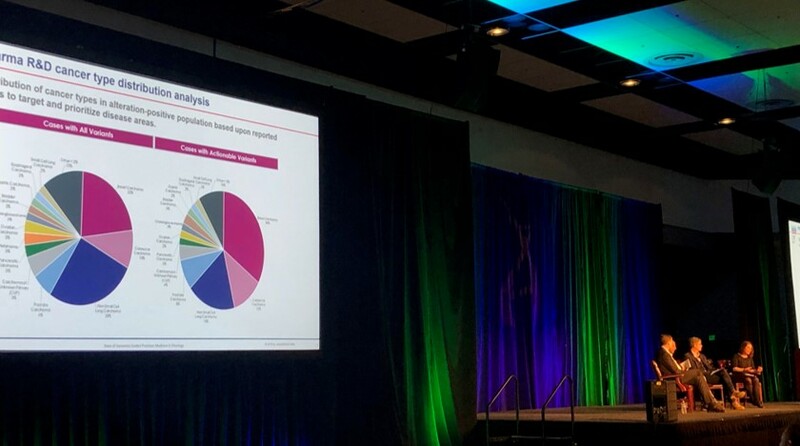 Also on Tuesday morning, Mary Napier, Associate Director of NGS Strategy at QIAGEN, gave a timely talk on how diagnostic labs and pharma companies can gain a comprehensive understanding of tumor mutational burden signature by implementing our new QIAseq Tumor Mutational Burden panel. What does she mean by “comprehensive“? 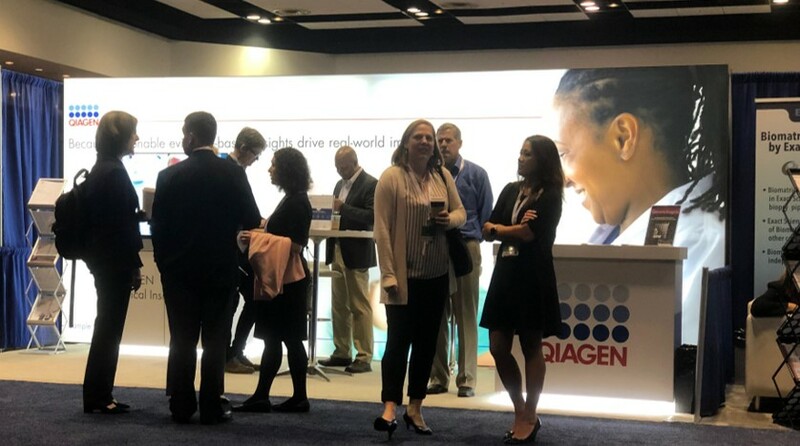 Thank you to everyone who visited the QIAGEN booth, we truly enjoyed talking to all of you about the industry challenges, and changes you see happening now and in the future. Advances in Genome Biology and Technology (AGBT) 2019 in Marco Island, Florida! Want to know more about our clinical solutions and real-world evidence? Click here to talk to one of the experts.